Come join us for an afternoon with Michael Malaghan as he presents his debut novel Picture Bride. Mr. Malaghan has turned his passion for history into a sweeping epic. 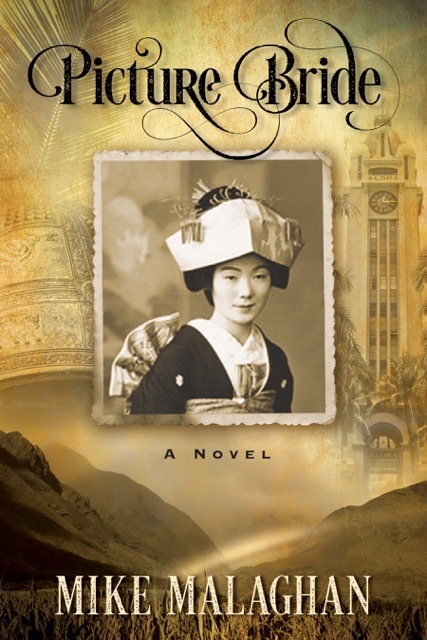 This gripping 500 page saga follows Haru, portrayed as a woman of silk and steel, from a young peasant girl in turn of the century Japan, to the sugar plantations of Territorial Hawaii. The term picture bride refers to the practice in the early 20th century of immigrant workers (chiefly Japanese, Okinawan, and Korean) in Hawaii and the West Coast of the United States and Canada selecting brides from their native countries via a matchmaker, who paired bride and groom using only photographs and family recommendations of the possible candidates.